Dzire Infosoft Pvt. Ltd. is a leading website development company in Jaipur comprising of a team of young and dynamic technocrats, offering you certified web development services such as website designing, website development, SEO, web hosting, ecommerce solutions, domain booking, etc. At Dzire, a leading website development company in Jaipur, we offer you world class web development services which will be highly tailored as per your requirements. There are numerous website development companies in Jaipur, but we stand aside from them just because of our unique designs, tempting glaze and supreme support. Besides being the industry’s most affordable web services provider, our web development services are highly bespoke as per client requirements. Our website development services starts from straight forward websites to ecommerce solutions. Besides static web development services in India, we also offer dynamic website development solutions so as to facilitate clients to modify and update contents, images, audio and videos of website at their own end and without any technical knowledge. Our dynamic web development solutions comprises of CMS development. Our dynamic team of webmasters is expert in almost all of the major CMS like Joomla, WordPress, Drupal, Magento, etc. Whether you call for a new website designed or need an existing redesigned, we assure you that it will meet all your requirements and that too within the desired time frame and funds. 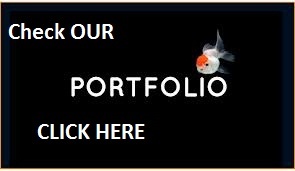 To get an idea about our website design and development work, please check our portfolio.